What drives man to work? From a holier-than-thou, get-off-your-high-chair point of view, some would say the challenge that we get and the feeling of contentment we get from accomplishing something. Well that is all a big can of bull. We come to work to get paid. Plain and simple. As much as we want to be paid more but never less than what we worked for, there exists something that employers would love to call work or pay schedules. (Fair. But not really.) 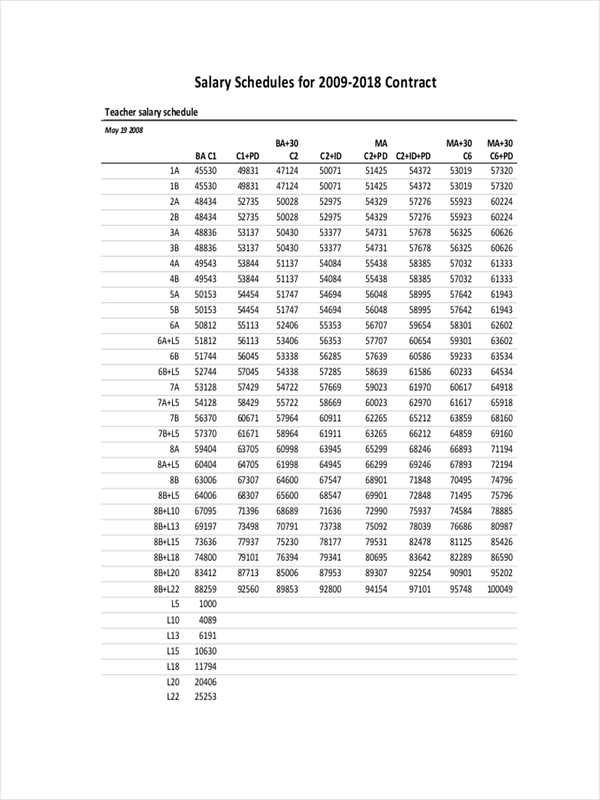 From our daily schedules to the hours of work we do in a month, our salary is computed based on a schedule of pay or salary. 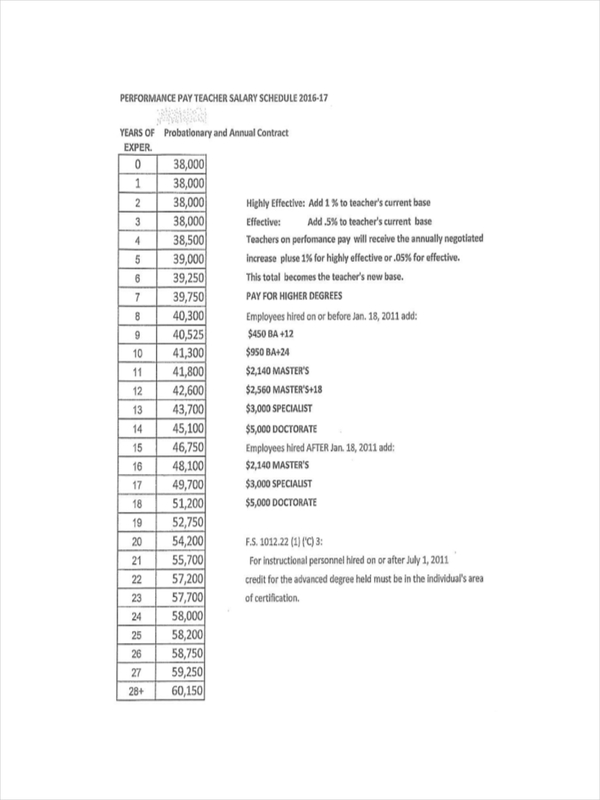 A sample schedule of salary is a system that determines how much an employee is paid dependent on the employee’s rank or status and the employer’s salary structure with grades that define the range of pay for an employee. 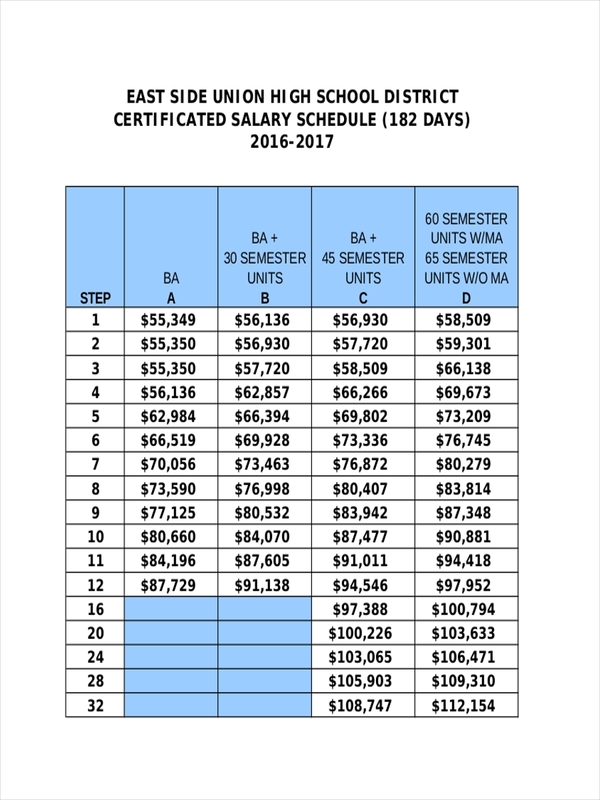 Pay schedules – These are composed of sets of pay grades for multiple grouped markets based on geography, industry and such. 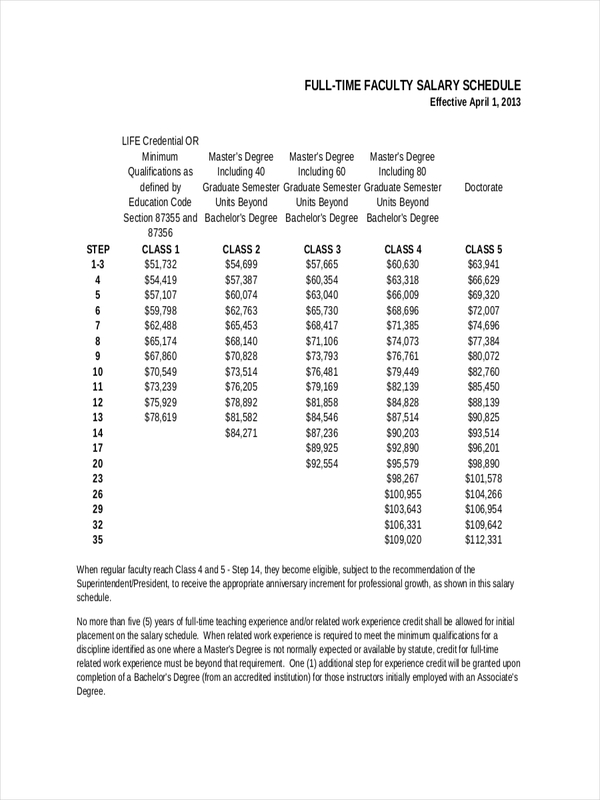 Pay ranges – These are the upper and lower limits of compensation for a job. 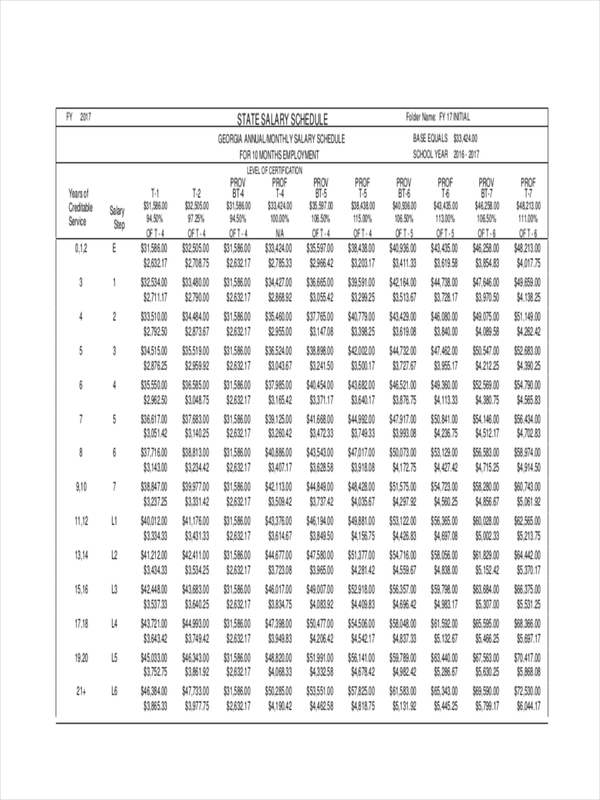 Schedule examples in PDF for pay and performance as well as quarterly schedule examples are seen on the page for your perusal. Have a good look at them and see whether there are the sample you may want to have. 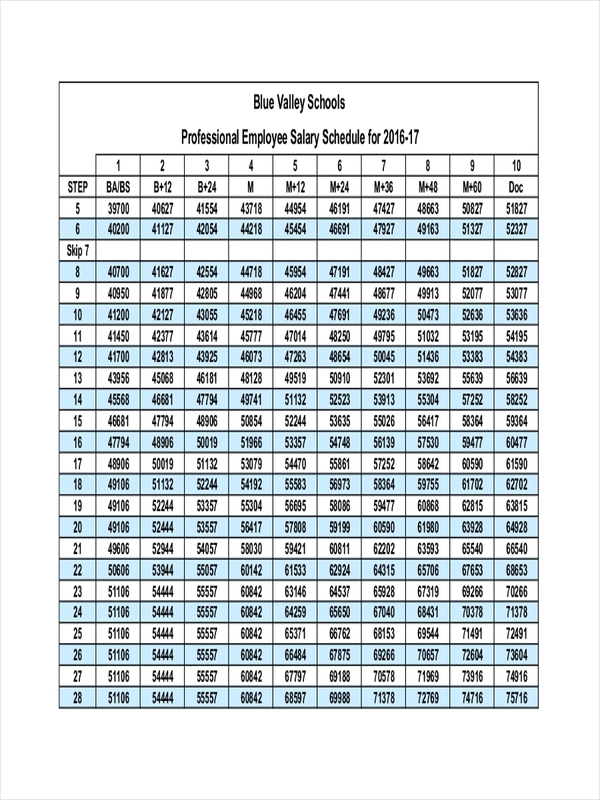 Why Is a Salary Schedule Important? 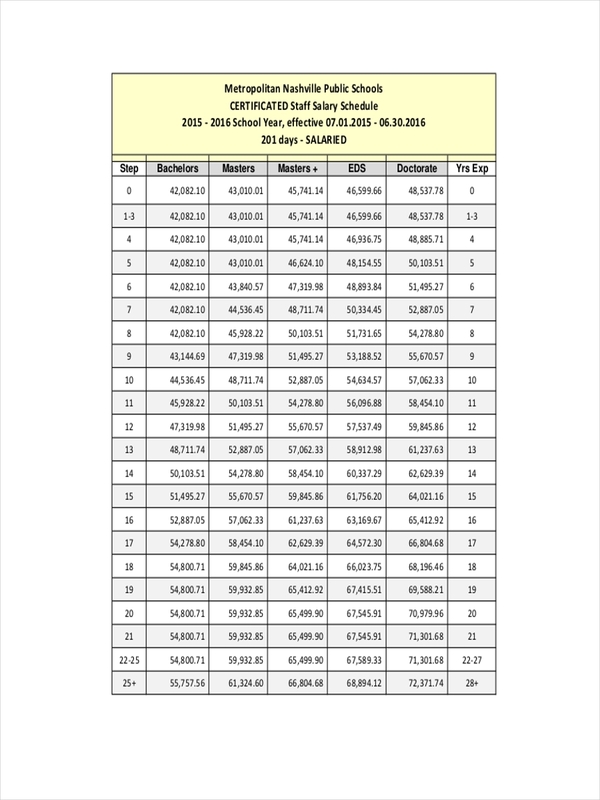 A work schedule for salary having good structure and compensation attracts the best individuals. Also, a contented employee stays longer as compensation is one of the most important reasons why an individual decides to stay with a company. An employee who is paid well is motivated to go to work plan. 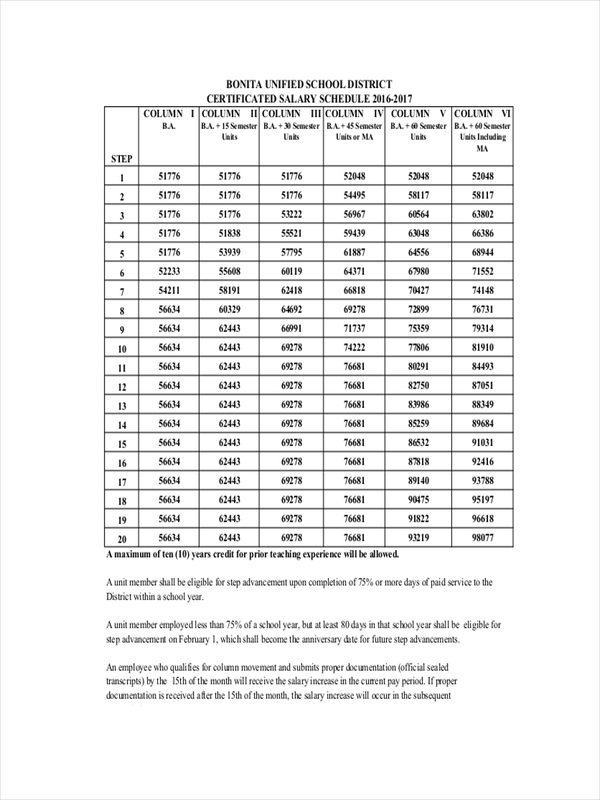 A salary schedule having great compensation as well motivates an employee to do better and perform better in order to achieve compensation or bonuses. Competitive salary and bonuses help in keeping employees satisfied and staying in the company. The company saves a lot on training costs and help in ensuring an employee stays loyal to the company. There are regulations that watch for companies not giving correct salary pay and compensation to workers. For example, equal pay acts protect employees’ pay from being based on an employee’s gender. 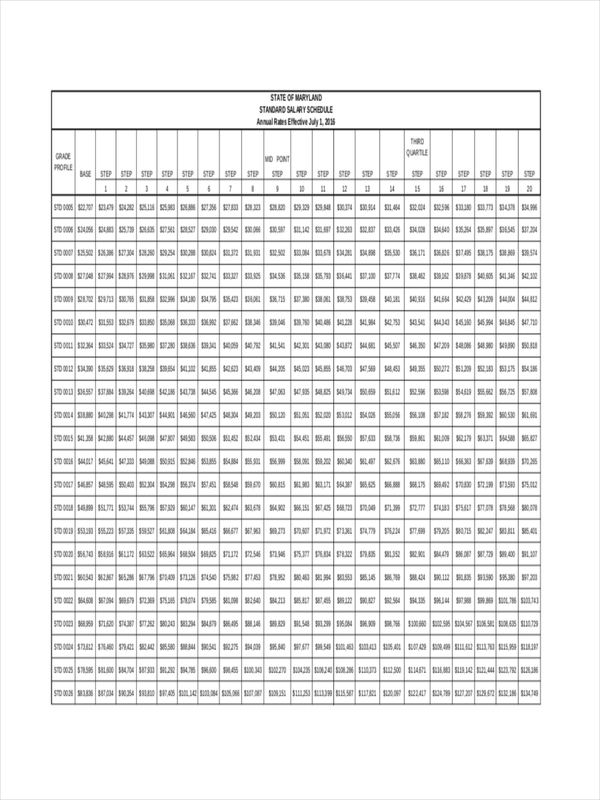 Schedule examples in Excel and employee schedule examples provide further information regarding a salary schedule and its general structure. Be sure to click on the download link button below the sample to access the file.